The car battery is that one car component that you probably do not think a lot about until it starts developing issues. But, it is one of the essential parts of any vehicle as it supplies the necessary power to the ignition, starter, and lights. And contrary to what many car owners might expect, batteries do not last forever and so you will need to replace yours at some point. Over time batteries lose their capacity and this causes slow and unreliable performance. But even when it is time to replace the battery, you should never just settle for the first that you come across. Instead, you should aim at getting something that will ensure peak performance for your vehicle and will also serve you for long. With our reviews and guide below you should have an easier time choosing the perfect battery for your car from the many options in the market. 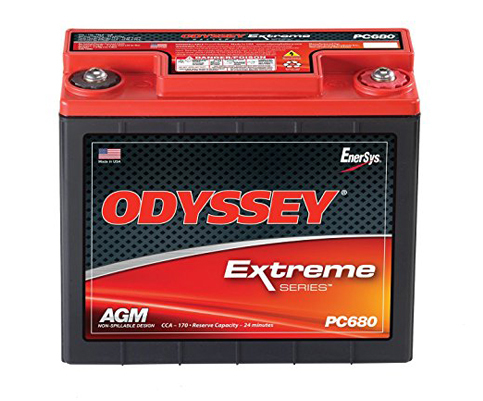 With this Odyssey battery, you can be sure of a service life of anywhere between 3 and 10 years which is quite impressive given that it is still relatively affordable. It also has a 70% longer cycle life than most conventional batteries in the market, and with a fast recharge time of between 4 and 6 hours. 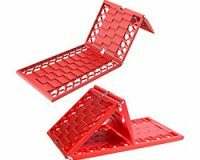 Also, it offers mounting flexibility and it comes with a non-spillage design. 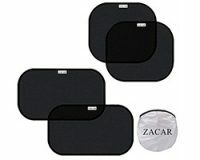 And it has a non-vibration design to protect it from shocks which also helps to lengthen its lifespan. The 620 cold cranking amps on this battery mean that it will start your vehicle with ease even in the coldest winter weather. And it also has an impressive 98-minute reserve capacity that will ensure that you always get a constant performance from your battery. The battery is up to 15 times more resistant to vibration than typical car batteries and so it will last for a longer time. 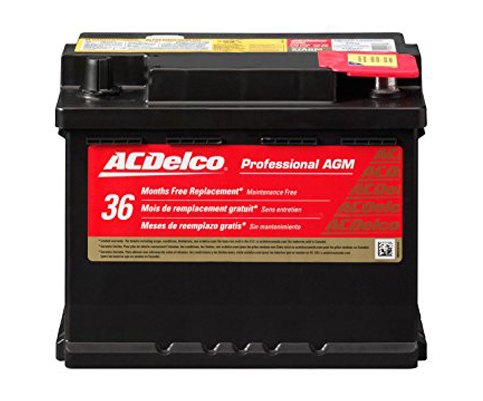 ACDelco 48AGM uses a high-density negative paste to improve the performance of the battery and also make it significantly longer. But there is more to the battery than this as it also has a silver calcium alloy that will increase the cycle life and also enhance the performance. Also, it is a low resistance battery with calcium lead positive grid and a robust envelope separator that improves acid circulation and prevents shorts for a long battery life. 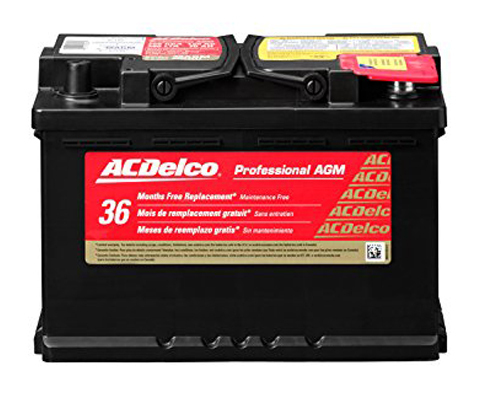 This ACDelco battery also uses a high-density negative paste like the 48AGM but it is a smaller and more affordable option than the latter. It also has silver calcium stamped alloy that improves the performance, the robust envelope separator and a vent cap design that helps to resist acid leakages. Also, the precision made ribbed case undergoes 100% pressure treatment to help make this an even more long-lasting battery by preventing future leakages. 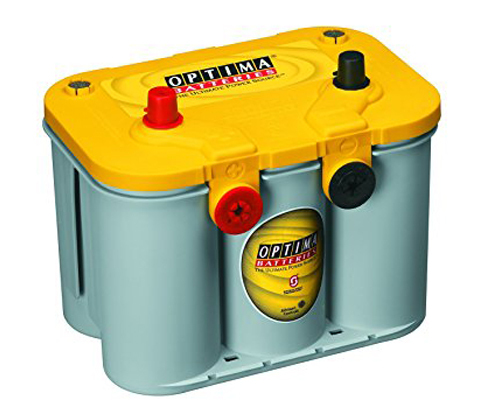 If you want a battery with a starting burst this one from Optima will be more than enough. It has a 720 cold cranking that is still high enough ad a reserve capacity of 90 minutes and C20 capacity of 44 hours. 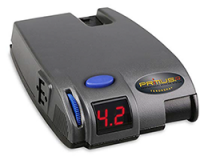 The battery offers faster recharging than conventional ones and it will work well for cars, trucks, and motorcycles. This maintenance-free battery has a spillproof design and you can mount it almost anywhere and it offers 15 times more vibration resistance. 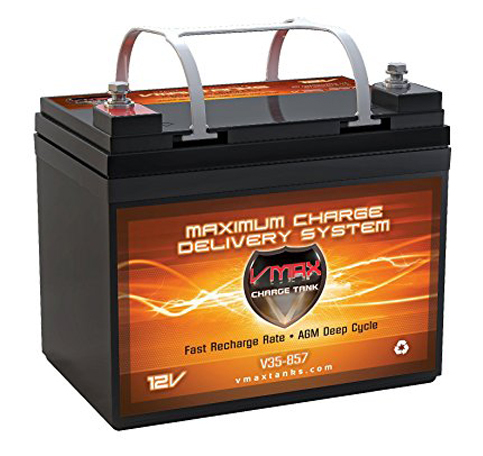 The VMAX857 battery uses heavy duty led tin alloy grids that provide some extra performance and longer life even after regular discharges. 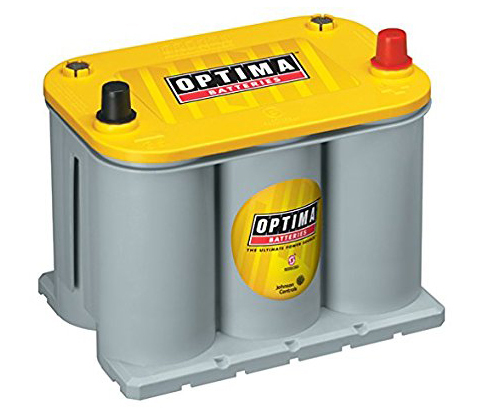 This battery is also quite convenient as it is maintenance-free meaning you will never have to add water to the tank or check the gravity of the electrolyte. The battery has an estimated run-time of between 4 and 9 hours which be sufficient for most vehicles. Alarm systems are a vital part of a car’s security and they rely on power from the battery for operation. 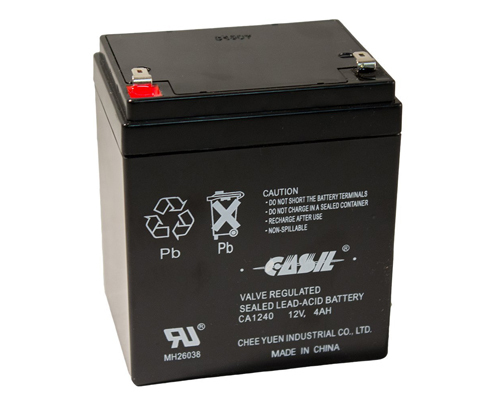 The 12V Casil CA1240 is designed specifically for cars and it is a sealed lead acid battery with a long run time and relatively short recharging. Also, it is also quite an affordable battery that is the same quality as what the leading manufacturers will use in their alarm systems. 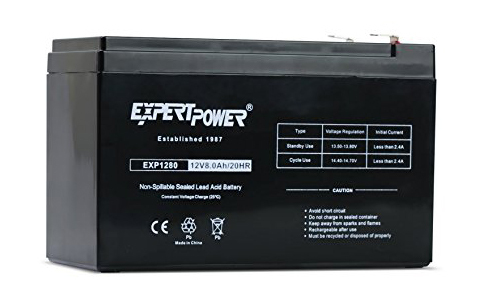 Although there are many sealed lead acid batteries in the market ExpertPower is famous for making some of the best-performing ones. It is a 12V 8 amp battery with a rugged construction that is resistant to shock, heat, and exposure to various chemicals. The construction is also spill-proof and the battery is maintenance free to ensure that you never have to do anything else after installation. 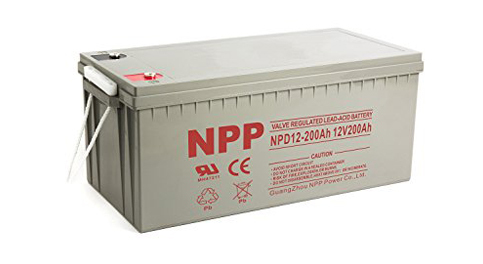 This highly versatile sealed acid battery will be ideal for everything from alarm systems and emergency lighting systems to standby power supply. And it comes in a rugged design that consists of a non-conductive ABS plastic shell that is highly resistant to shock, heat, chemical, and vibration. It is also one of the easiest batteries to install but what many users will love about it is that it will require no maintenance at all. Cold cranking amps are a common term that you will come across when shopping for a car battery and they are an indication of how much power the battery will have in frigid temperatures. The more the cranking amps the better the battery will be as it can start up in cold weather without a lot of repeated cranking. 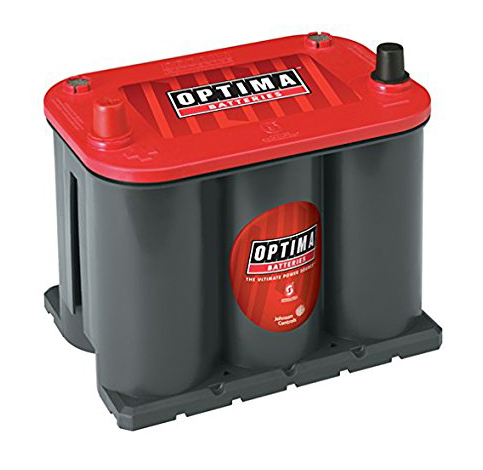 Most car batteries will come with a warranty of up to 3 years but most ca last longer than this. Abut as you are buying the battery you should always remember to check customer reviews by other car owner’s that have used or are using the particular battery model to determine whether it has a long life or not. It is possible to get car batteries that can last for as long as 10 years. Also, remember to check the reserve capacity of the battery and the larger the better it will be. Also, other features like maintenance-free design that ensures you never have to refill the battery with distilled water and a carry handle will also be a great addition. A battery keeps your vehicle powered and it runs vital things like the lights and starter and so it will not last forever. But, when you need to change the battery it is important to make sure that you get the best. And with guide and reviews above you should now have enough information to choose the best car battery.